Free Crochet Pattern – Round Robin to the Rescue! Imagine the scene. It’s three days before Christmas and we visit Santa in his grotto. As the girls settle down beside the log fire, he turns to my youngest and asks her what she would like for Christmas. “A toy robin”, comes the reply. My husband and I look at each other, this is the first we have heard of it. Not a squeak has been made about this red breasted craving before this point. What to do? We laughed nervously and inside I hoped that she would forget all about it with the excitement of all the other presents she was going to get. Unfortunately for us, she didn’t forget about it and I had to gently remind her after she had opened her stocking presents and found a distinct lack of anything vaguely robin shaped that Father Christmas had probably already packed his sleigh up by the time he’d asked her. “It fine Mummy, you can make one for me instead,” she chirruped. For the next few days every time I even looked at my crochet hooks, a little voice piped up reminding me of the call of the robin. My brain started whirring away, imagining this cute but realistic, replica robin. “No”, said Starbug. “I want him round like a ball with just two eyes, a red breast and a beak.” Hmmmm. Okay then. Is it a ball or is it a robin? 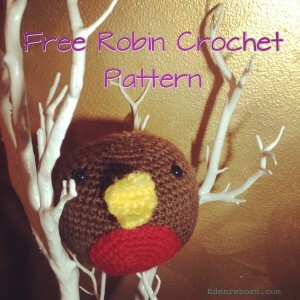 And here is the free crochet pattern so you can make your very own Round Robin. 2 x 9mm black safety eyes. sc2tog = decrease by working two sc together. This robin is made in continuous rounds, amigurumi-style. You can use either the magic loop method or the chain method (ch2, 6 sc into 1st chain) to begin. I prefer the latter as it feels more secure and you can either work the sc over the tail and then tighten or thread the tail through your stitches with a tapestry needle and pull the hole tight. If you use the magic loop method, make sure you darn in the end and secure as I have found the lots of cuddles can result in the loop working loose. Use a stitch marker, or small piece of contrasting thread, to mark the start of each round. Attach safety eyes between rounds 23 & 24, leaving approx 12 sts between each eye. Begin to stuff body firmly. Fasten off and sew in loose end, closing any remaining hole as you do so. Fasten off leaving a long tail for sewing. Sew to body, centring below eyes. (I sewed mine between rounds 6 & 17). Row 5: ch 1, sc in each sc across (2 sc). Slip stitch evenly down the side of the beak until you reach your original chain. You will now be working in the reverse of this chain. Rows 7- 10: Repeat rows 2-5. Fasten off leaving a tail for sewing. Weave end through beak until you reach the widest part (the original chain). Fold beak slightly and sew between rounds 21 & 22, centring between eyes. Weave in loose ends. Enjoy your new round robin! 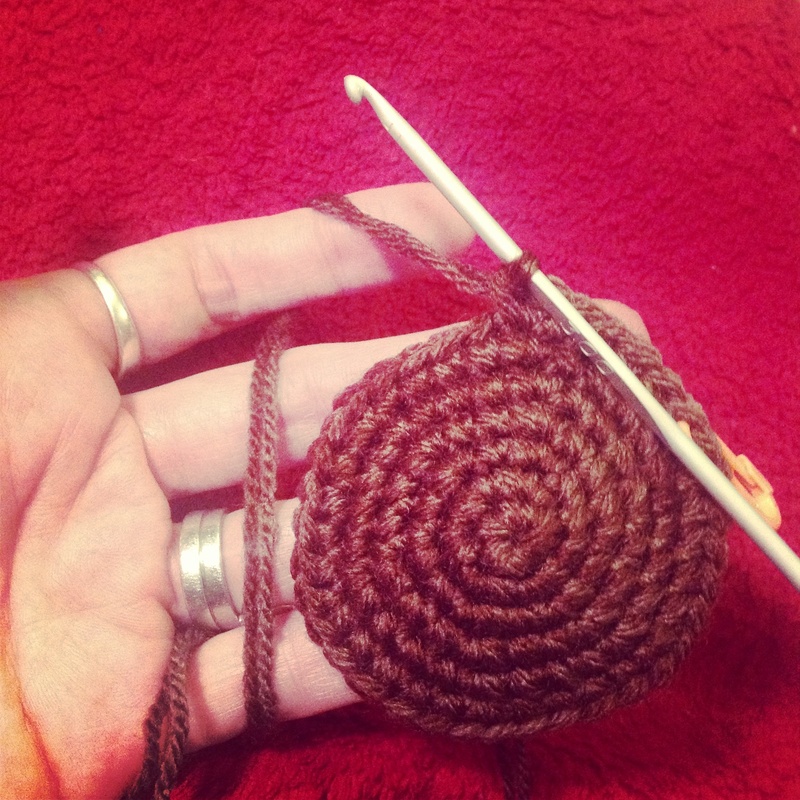 This pattern is an original pattern by Tracy of Eden Reborn (January 2014). Please do not claim this pattern as your own. If you wish to share this pattern, you may link to this pattern but please do not reprint it on your site. You may keep a copy for your own personal use but you may not sell or distribute it. You are welcome to sell items made from this pattern either locally or online but if you do so via the web, please include a link to this pattern in your item description. Many thanks. 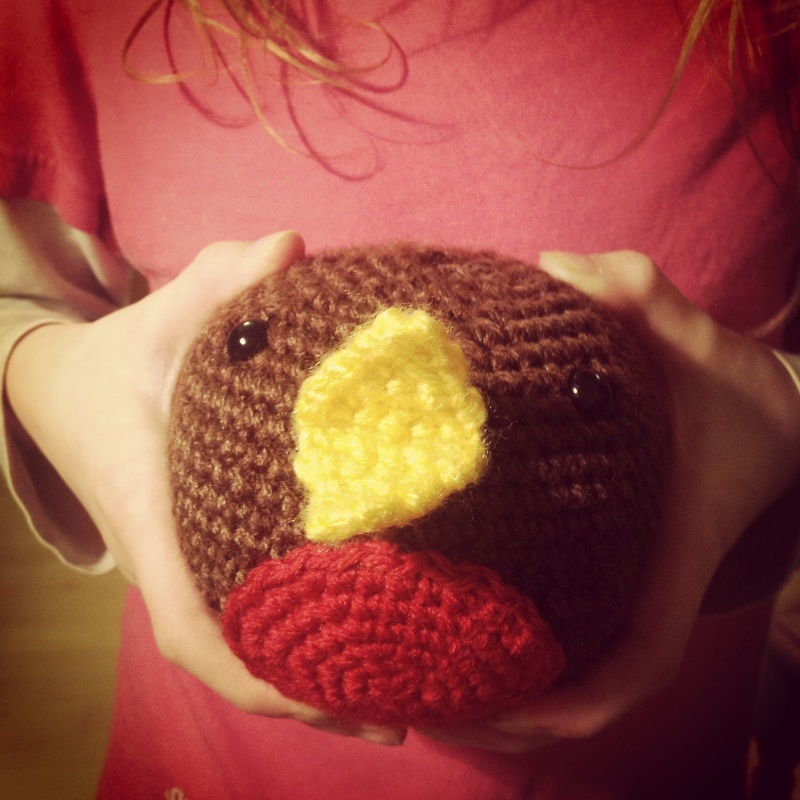 Posted in Crochet, Free Patterns and tagged Amigurumi, Crochet, Patterns, Toys.